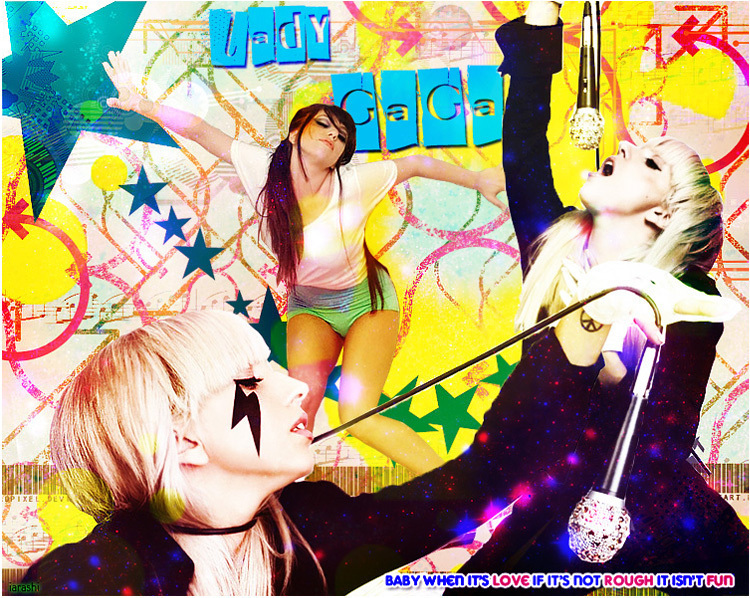 Lady Gaga shabiki Art. . HD Wallpaper and background images in the Lady Gaga club tagged: lady gaga image photo singer fan art. This Lady Gaga fan art contains anime, comic kitabu, manga, cartoon, and mkono. How do you make these, what programme did you use?? I didnt make it. Klouny is the creator of this image, which is stated under Image Credit. My guess would have to be some textures in Photoshop CS2. photoshop cs2 was very AWESOME!!!! I use it..